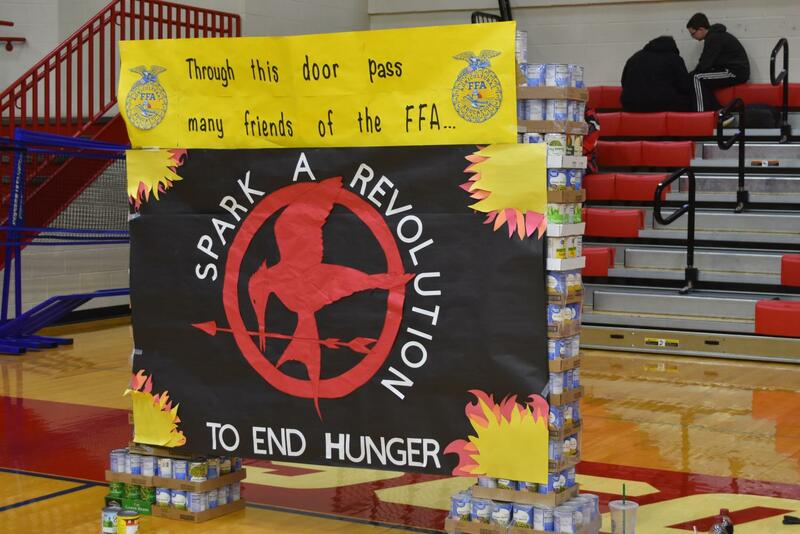 District agriculture won third place for both the display and for the number of cans raised this year. Different departments formed teams to help inspire some friendly competition for the event. Team Guidance prepares its display in the gym. 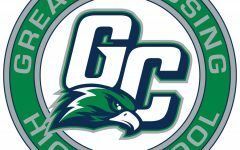 Guidance was the winner for the 2018 food drive for the most cans donated. 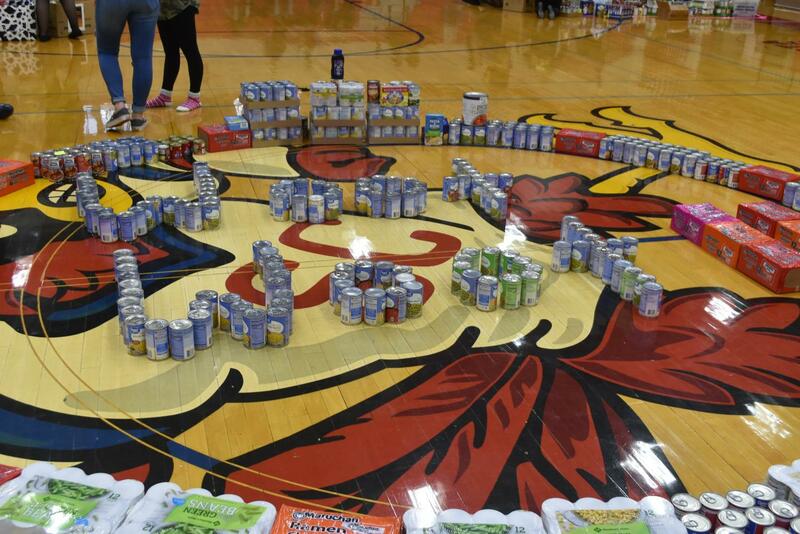 Students worked to construct elaborate displays made from the donations before the start of the assembly. 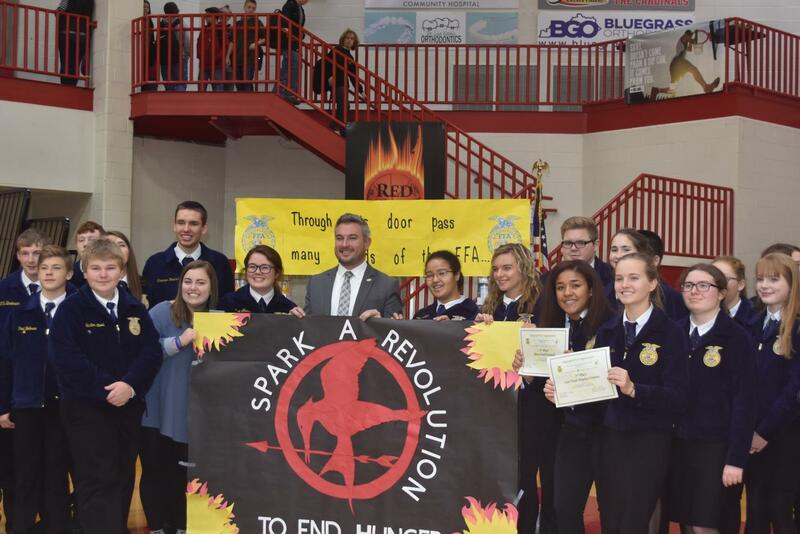 The FFA chapter at SCHS worked hard to promote the canned food drive assembly this year. 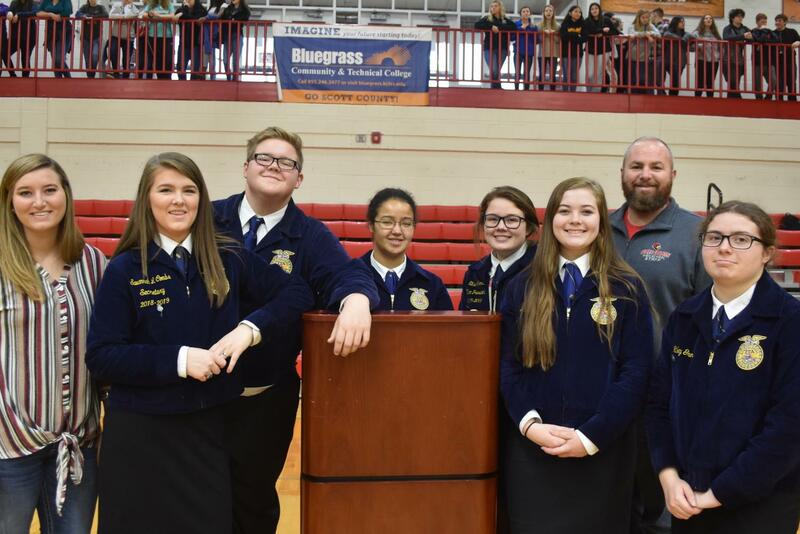 FFA members were thankful to have Kentucky's Commissioner of Agriculture Ryan Quarles speak at the Thanksgiving Assembly. 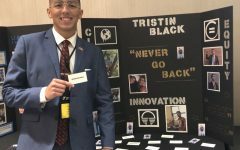 Quarles is also a graduate of Scott County High School. 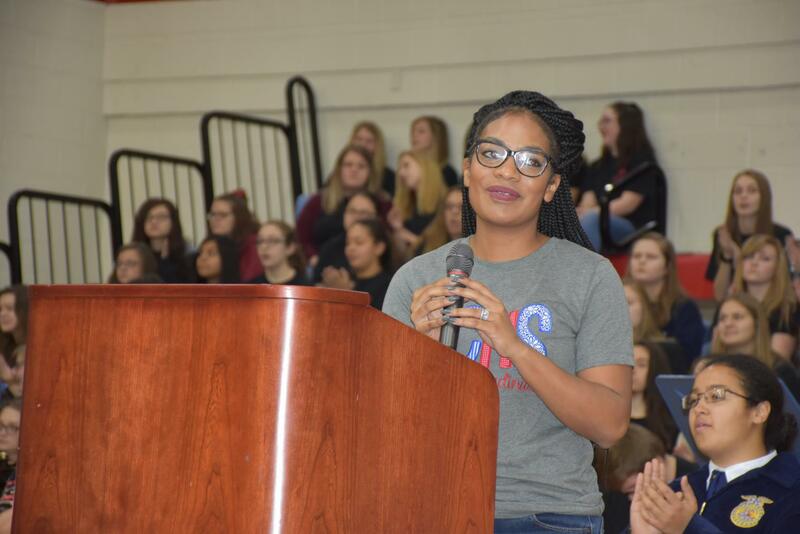 Principal Meocha Williams welcomed the students to the annual Thanksgiving assembly. 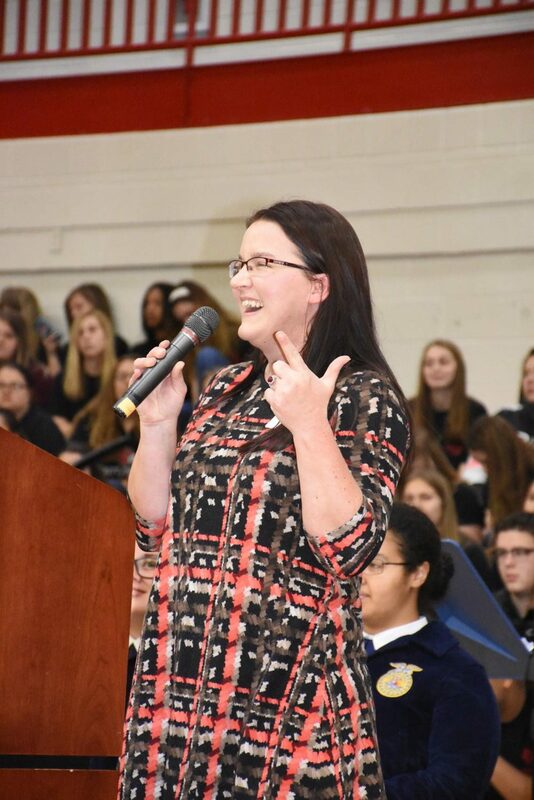 Executive director of the AMEN House Michele Carlisle thanked the student body for their efforts to help stop hunger in Scott County. 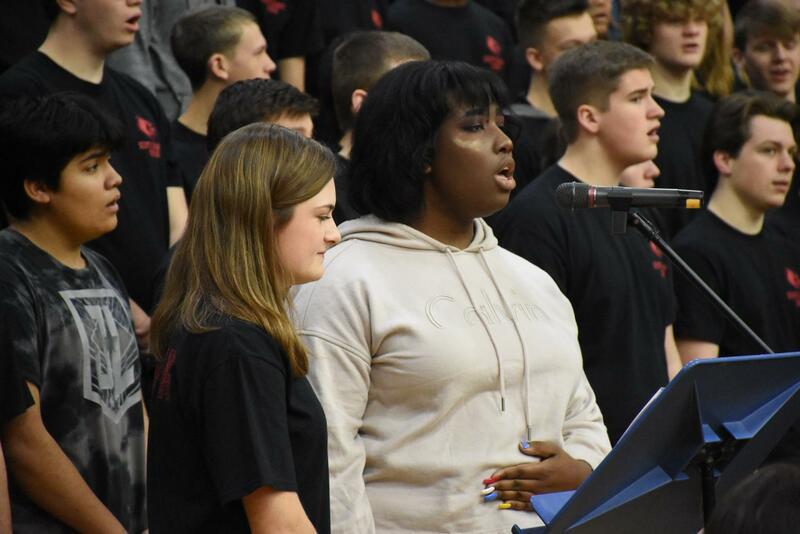 The SCHS choir performed two selections during the assembly. 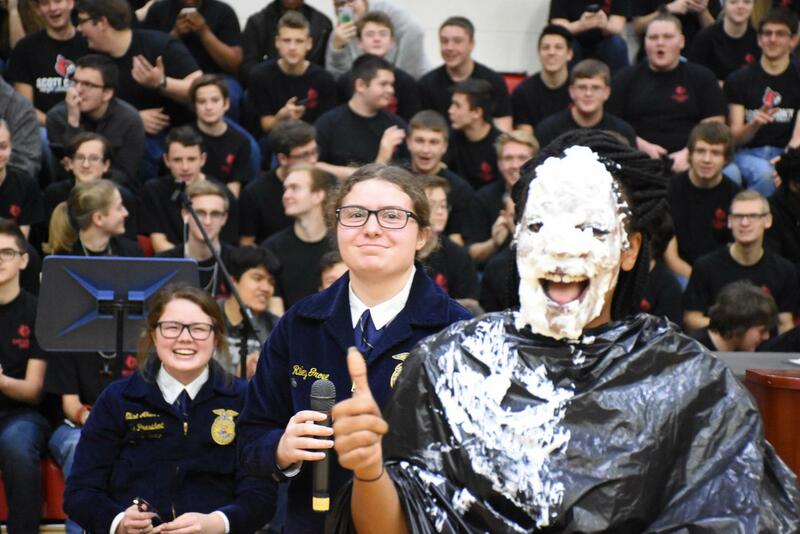 Principal Meocha Williams agreed to take a pie in the face at the conclusion of the Thanksgiving assembly. 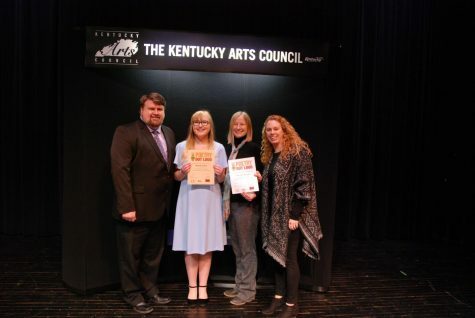 Representatives of district social studies accepted their award for second place in both number of cans raised and for creative display. 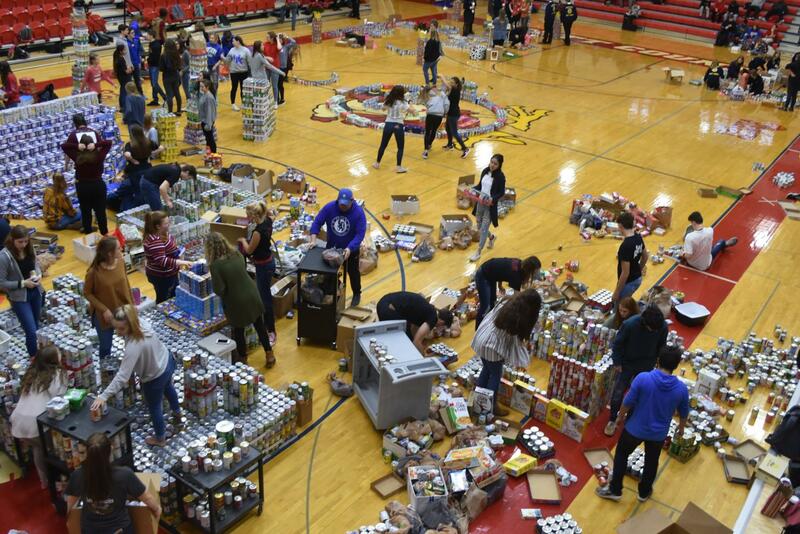 One of the most well-known community service outreach projects that Scott County High School completes each year is a canned food drive to raise food for people in need. 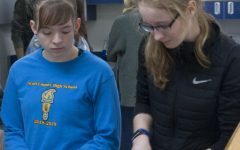 Held each November, the school community rallies its students and teachers and tries to get as many donations as possible for Scott County’s local food pantry, the AMEN House. 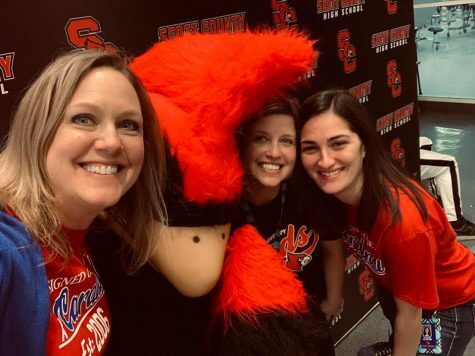 In 2017, SCHS raised 30,800 pounds of canned food, and the challenge was given to surpass that goal in 2018 and they succeeded by bringing in 36,420 pounds of food. 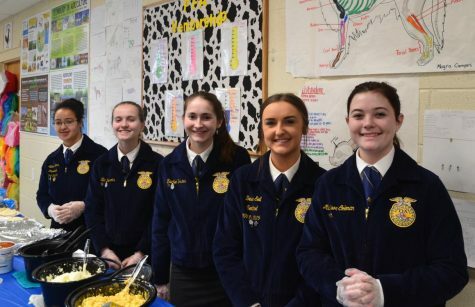 SCHS’s FFA chapter organized this event at SCHS, and its members were eager to help. 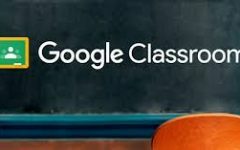 To help inspire some friendly competition with the canned food drive, the organization chose to incorporate ideas from the popular book and movie series “The Hunger Games.” Teachers were divided into “districts” based on the content they taught, two “tributes” or leaders were appointed for their department, and they developed a plan to bring in the cans. 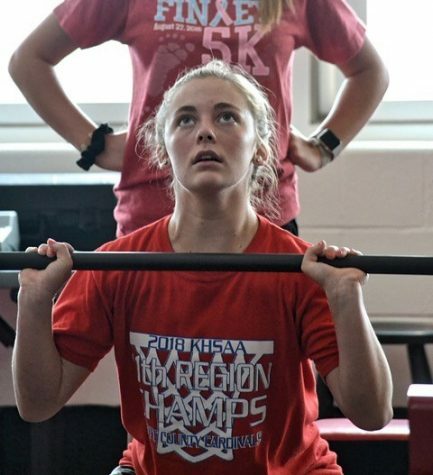 For many, seeing the gym floor littered with towers and elaborate displays created with boxes or macaroni and cheese and cans of green beans is satisfying. 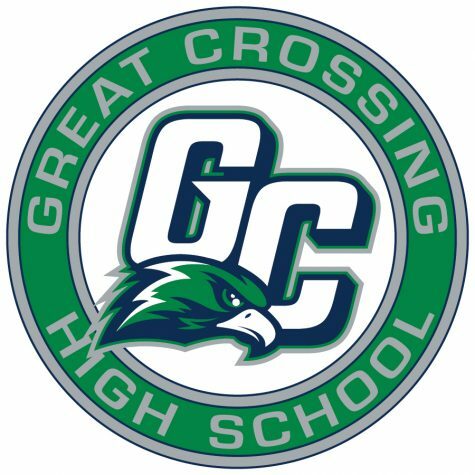 “What inspires me the most about our canned food drive is that it unites the entire school during the months of October and November. 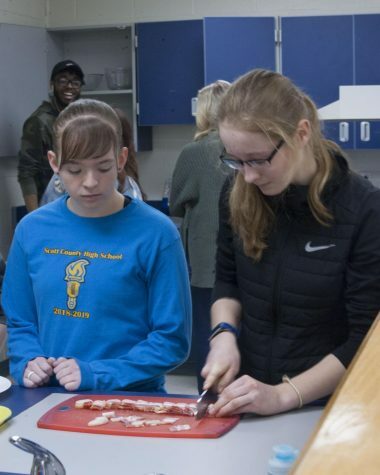 Seeing as Scott County High School is a large school that has many things going on within it, it is rare that we all are in the same room, sharing the same energy, and celebrating what each other did to create an impact in the lives of those around us who are in need,” said FFA president, Lilian Demus, senior. 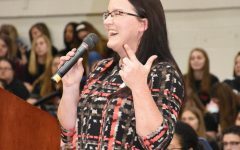 SCHS alumni Ryan Quarles, Kentucky’s commissioner of agriculture, spoke to students about having a community of giving, and of the changes the department of agriculture has made to eliminate food waste and reduce hunger. He shared that the AMEN House has benefited from many of these recent changes and also received a chest freezer that allowed them to accept a wider variety of donations. 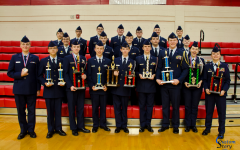 Since there is a competitive element to the canned food drive, prizes were awarded out at the assembly. 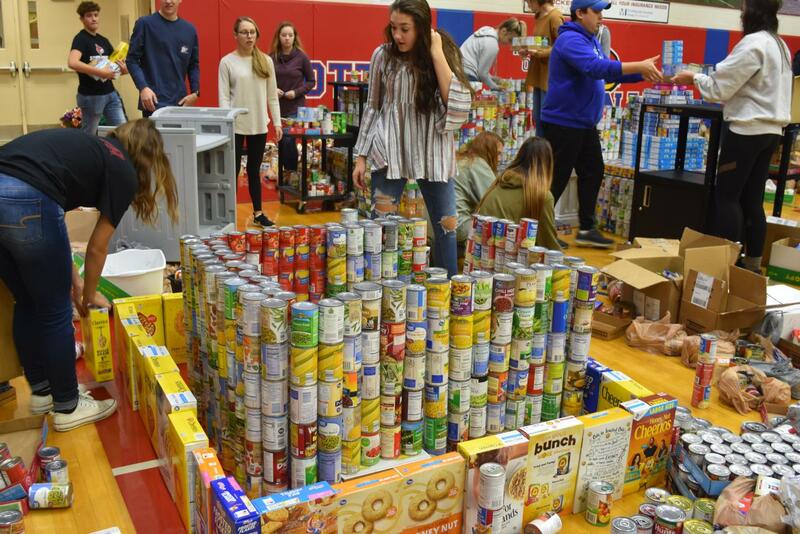 The winner of the most cans raised was the guidance district coming in at 21,000 food items, and this district also won the award for best display. 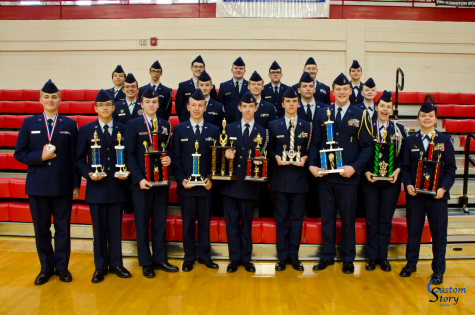 The social studies district won second place, and the agriculture district won third. 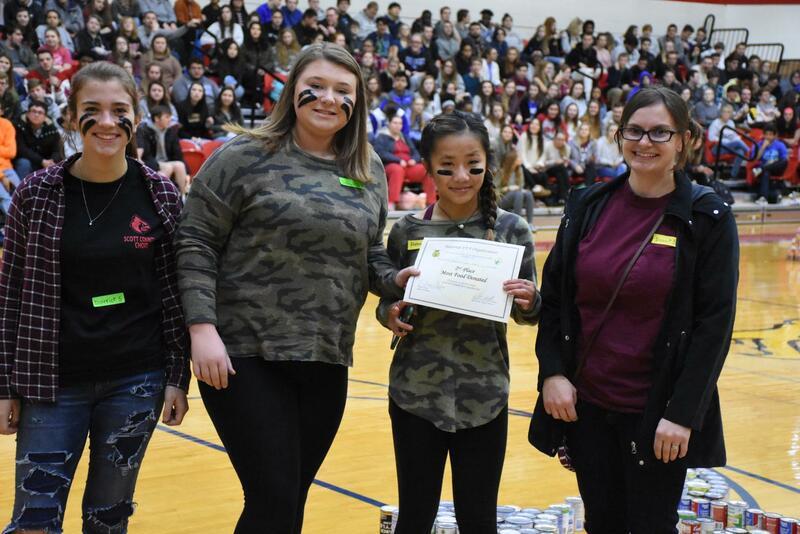 The awards add a competitive way to motivate students and teachers to raise money and cans for the food drive. All in all the canned food drive is an extremely helpful event, and it helps so many people. 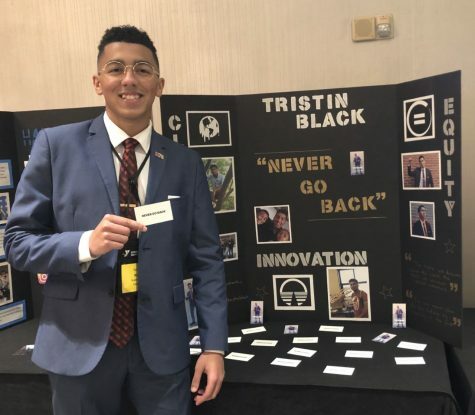 “What I want everyone to remember is that one can of food, just like one compliment or one friendly smile, can change how someone goes through their day. It is not just a can of corn or beans, it is the fuel that someone needs to get where they want to be in life. 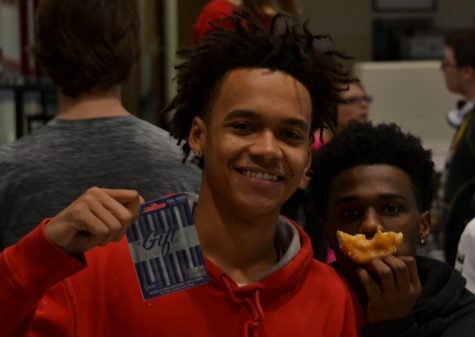 I want to say thank you to everyone who has participated in this canned food drive,” stated Demus.